The Hospital's 25th annual course will begin in March at two locations. 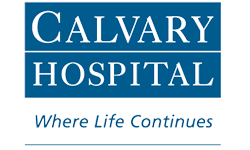 Calvary Hospital’s 25th Annual Bereavement Course will begin March 5 (held from 6-8 p.m. Monday nights at the Bronx campus), and March 7 (held from 6-8 p.m. Wednesday nights in Brooklyn at St. Joseph High School). The course is designed for those in the helping professions, and not for bereaved family members. This 10-week course on bereavement and grief related issues will be taught by various specialists from Calvary Hospital/Hospice. Upon completion, each participant will receive a Certificate of Attendance. NYS Department of Health, Bureau of Funeral Directors, ADEC (Association for Death Education and Counseling), and the PA Nurses Association. These courses have been approved for contact hours by; CASAC (Credentialed Alcoholism and Substance Abuse Counselor); CPP (Credentialed Prevention Professional); and CPS (Credential Prevention Specialist). People may also choose individual sessions for $50. Checks should be made payable to Calvary Hospital. For further information, contact Dr. Sherry R. Schachter at Sschachter(at)calvaryhospital.org. Bereavement Services, 1740 Eastchester Road, Bronx, New York 10461. Note: No commercial support was received for this educational activity.